Robertson Northern has just begun work on the project and they are scheduled to complete the main building works in late autumn next year. Organisations and services supported in the justice centre include: Scottish Courts and Tribunals Service, the Crown Office and Procurator Fiscal Service, Citizens Advice Bureau, Families Outside, Highland Council’s Criminal Justice Social Work, HMCTS (Social Security and Child Support Tribunal, Employment Tribunal, NHS Highland, Police Scotland, Scottish Women’s Aid, and Witness Service/Victim Support Scotland. The Lord Advocate said he was keen to see the six new courtrooms incorporate the very latest digital technologies in a bid to simplify and enhance the experience for all users of the justice system. 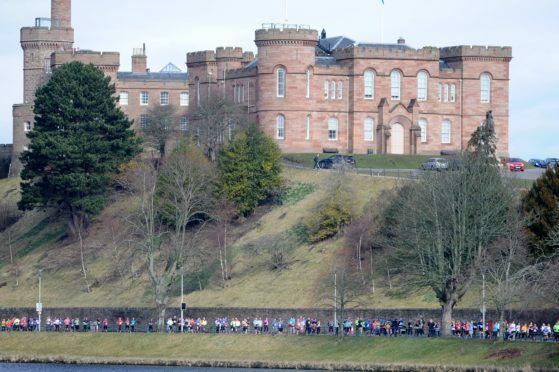 Inverness Castle will be transferred to Highland Council ownership with the aim of stimulating economic growth for the city as it works in partnership with the Scottish Government and other public bodies to develop a major tourism attraction.